The advantages of quantifying velocity and effort for athletic performance are clear, but the benefits that gym-based athlete monitoring concepts bring to personal training programs are equally as impactful. We sat down with Chris Grayson, owner of the Urban Strength Institute in Chicago, to discuss how he has incorporated PUSH into his daily training environment, reaping the benefits of wearable technology and electronically tracking client progress, taking his facility to the next level. How have your clients reacted to the introduction of the PUSH Band to their training? “When you’re explaining concepts like velocity and power, or showing them measured results, it sets you apart from other trainers and gives clients confidence in your knowledge as a coach. Client perception is also very important in our industry. Automatically collecting and storing training data through the PUSH Portal software brings state-of-the-art efficiency and legitimacy to my program, as well as the added benefit of going paperless." Video 1 (Top): Example of power training with the PUSH Band. How has your training process been affected by PUSH? “My daily routine hasn’t changed much, although it’s more engaging PUSH Band and set up on our iPads. 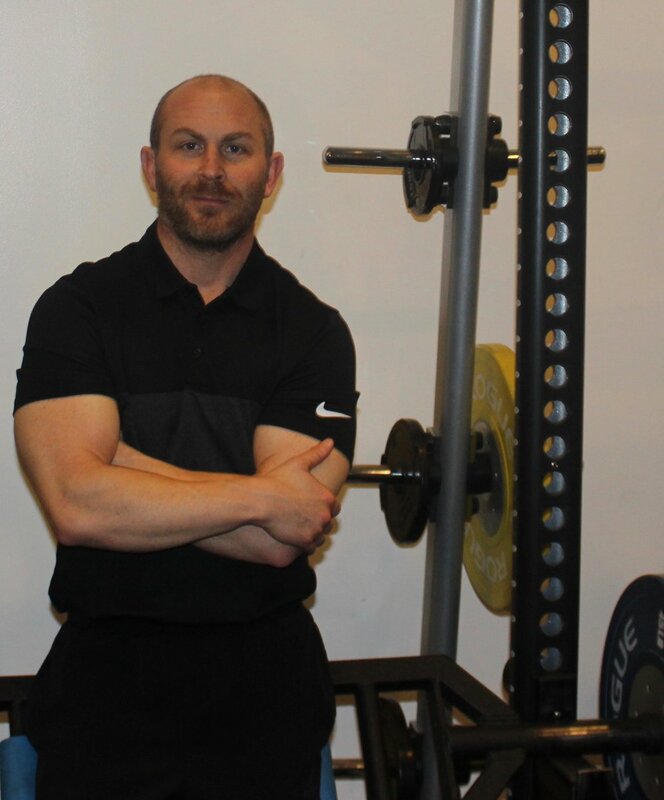 Generally, I don’t have to move the iPads to follow the clients, the bluetooth signal reaches throughout our gym." Video 2: Dan Baker explains how to monitor daily readiness to train with a zero load jump squat. What is your favorite application using the PUSH Band? “That’s a tough one. I’d say my favorite part of it for me right now is when we perform a strength assessment to establish a baseline, and re-test after 8 weeks of training to see the client improvements. This allows me to assess how my intervention performed, and tweak the program based off of the results and course correct if necessary." “I’ve also been able to identify how much volume to give an athlete or client on a given day based on their velocity drop-off and output after repeated efforts. This hasn’t always been possible or as easy to identify, but with the PUSH Band I can now see the percentage of velocity lost across a set. Even further, I’m experimenting with various rep protocols (using the same volume load) to see what produces the most post-activation potentiation and better overall output. For example, comparing a 5,3,1,5,3,1 wave load protocol against a 1,3,5,1,3,5 protocol. The same loads are used and I’m comparing the velocity scores of each to see which wave has the better end result. Figure 1 (Top): PUSH Portal graphical report of velocity data from max effort wave loading protocol mini-experiment. Table 1 (Bottom): Corresponding table of data comparing the average velocities across the wave loading protocols. Figure 2: Volume load report for an individuals training sessions over a 2-week block taken from the PUSH portal software. “PUSH is really helping me deliver a high-quality product to my clients. It allows me to easily quantify training methods that wouldn’t have been as practical or accurate by just observing with a naked eye. I’ve educated my clients on a new set of metrics for assessment and prescription, that aren't just the traditional load, sets, reps, tempo, and rest intervals. It brings an element of science, they see me conducting mini-experiments and think of me as a scientist, and it makes me feel like one too. That’s one of the biggest reasons why I fell in love with training people: trying to solve a puzzle by using the scientific method in real-world environments." Chris Grayson's passion for exercise and training began while wrestling in high school, but really grew afterwards when he enlisted in the Marines. After leaving the Marines in 1998, Chris harnessed his love of fitness and began helping others reach their own fitness goals. By using his understanding of the value of hard work and determination from his time in the military, he took a passion for strength training and has turned it into a thriving business based on the foundations of continuous learning and personal improvement. Now, Chris is training everyone on the spectrum, from firefighters and police officers to mixed-martial artists to the everyday person looking for improved health and physique. His training facility, the Urban Strength Institute, is located in Chicago, IL, USA.